Annual Check-up for Patients 60+: Got Questions? We Have Answers! David considered himself to be a “healthy” sixty-five year-old man. He was not fond of doctor visits, and insurance premiums were too costly for his family of eight. While interviewing David, he responded, “I’m sixty-five in age, but feel like twenty at heart!” David hasn’t seen a physician for over 30 years, and although he felt “healthy” further testing would be needed to rule-out any underlying heath concerns. This was a great opportunity to share with David, tests and procedures recommended for seniors within his age group. Engaging in the learning experience was a key factor to David’s involvement in the annual examinations recommended by his physician. David stated, “To be honest, I never took the time to learn about the benefits of early detection. The thought of going through an invasive procedure was so frightening, that I simply never looked into them. When I understood the health benefits my perspective changed, and I wanted to do something good for my health." Through his learning, David was able to see the positive benefits as to why specific tests were ordered. He developed a more proactive approach towards his health by asking questions and using the resources provided by his healthcare providers. 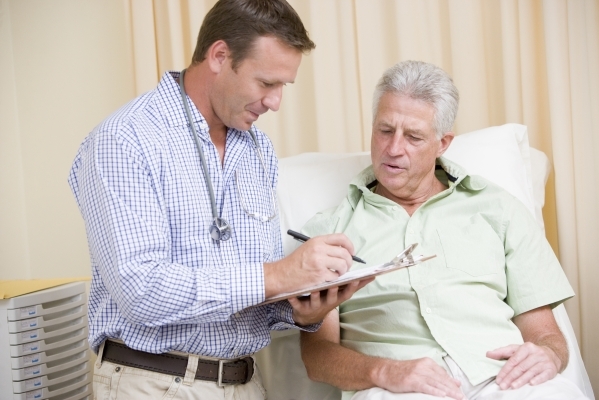 Patients are active participants in the decision-making process involving their care. Questions or concerns should always be addressed with your physician prior to undergoing any test or procedure. A great reference guide of annual exams for patients 60+ can be found in WebMd’s article, Medical Tests for Your 60’s and up. The article outlines routine examinations for seniors over 60, and rationales for each procedure. Let’s delve into the 5 W’s: Who, What, When, Where, and Why of some commonly ordered annual exams for seniors 60+. Who performs these annual exams? It depends on the exam being ordered. Your primary physician may perform certain tests, while other procedures may be referred to a specialist. In the case of a colonoscopy a GI (gastroenterologist) would most likely be consulted to perform the study. Your physician will guide you through the process, and refer you to the proper specialist when needed. What annual exams are ordered for patients 60+? Head-to-toe assessment: A routine physical exam that includes a thorough examination from head-to-toe. The healthcare provider auscultates (listens) lung and heart sounds, checks capillary refill (a press in the finger to check for circulation), assess the skin for abnormalities, inquires on the patients pain level, and other routine exams ordered by the physician. Rectal Exam: The physician examines the rectal area for masses, tears, and other possible abnormalities. Vision Exam: Normally scheduled with an Ophthalmologist. A thorough visual examination is performed assess near & farsighted vision, PERRLA (pupils equal, round, and reactive to light & accommodation), cranial nerve function, assessing peripheral-field vision, and more. Mammogram (for women): WebMD also notes that mammograms should be done annually starting at age 40 or 50 for early detection and prevention of breast cancer. Prostate Testing (for men): PSA (prostate specific antigen) is a blood test recommended for men for early detection of prostate cancer. Your doctor may order further studies if your PSA levels are elevated. Rectal Exams are ordered for patients over 50. WebMD states that Colonoscopies should be done every 10 years starting at age 50. If there’s an underlying health concern the physician may order more frequent examinations. Myoclinic writes in their article; Prostate cancer screening: Should you get a PSA test?, how PSA screening is usually done in men between 40 and 75 years of age, and also in men at risk for prostate cancer. Although not all physicians include this test in the annual check-up, many healthcare professionals recommend it. Most of the annual exam will take place in your doctor’s office; others will be done as an outpatient basis. Inquire the following with your healthcare provider: location of the procedure, and appointment date & time of the exams. This allows adequate time to make arrangements for transportation and scheduling. Why are these exams ordered? Annual examinations are a proactive approach to early disease detection and prevention. Some individuals may require additional tests and procedures depending on their healthcare needs. *The image included in this article is not David. The name “David” is used to maintain patient confidentiality. All information provided in this article is for educational purposes only. Be sure to consult with your physician before considering any of the suggestions listed in this article.